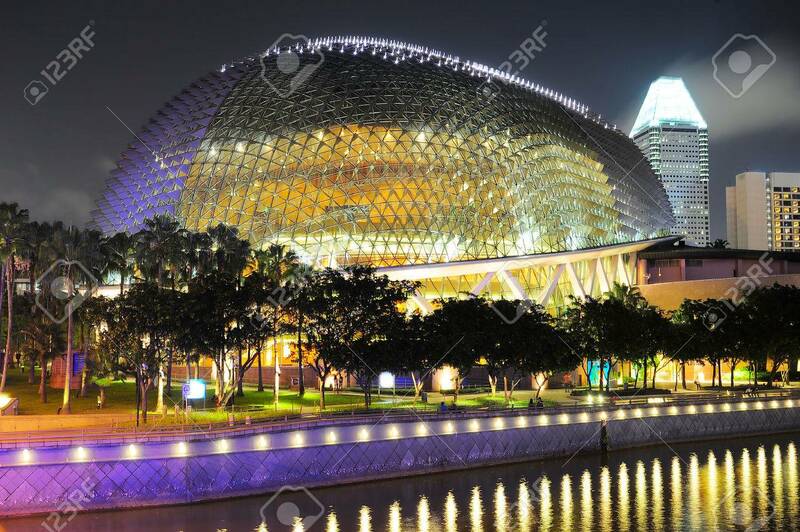 SINGAPORE - MRCH 07, 2013: Esplanade Theatres On The Bay In Singapore... Stock Photo, Picture And Royalty Free Image. Image 29775539. Stock Photo - SINGAPORE - MRCH 07, 2013: Esplanade Theatres on the Bay in Singapore. Esplanade theater is a modern building for musical,art gallery and concert. SINGAPORE - MRCH 07, 2013: Esplanade Theatres on the Bay in Singapore. Esplanade theater is a modern building for musical,art gallery and concert.